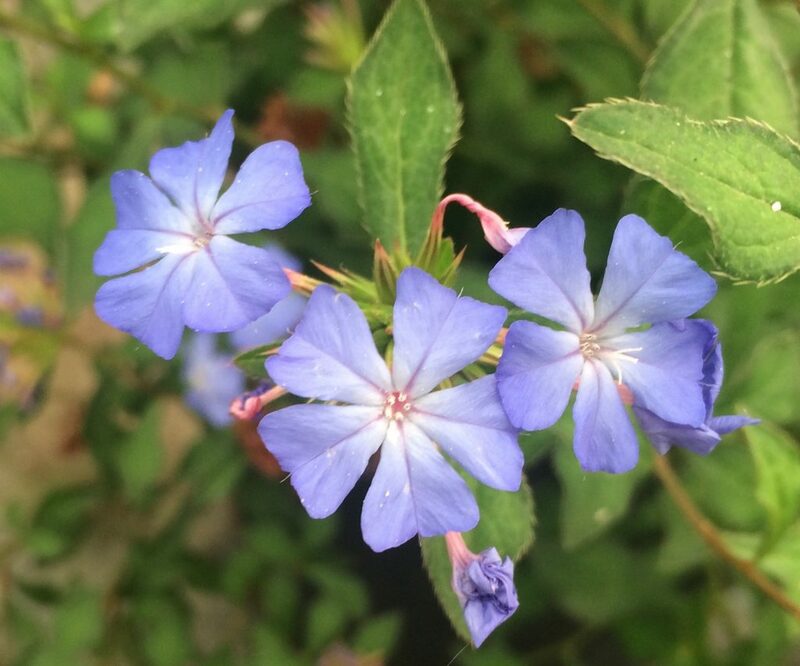 A cool sub shrub that covers itself for months in dime sized sky blue flowers. The intensity of the color is hard to capture- it must be experienced. Forms a rounded wiry shrub with diamond shaped wavy small green leaves. To 2′ x 2′ in a season. Full sun, and rich, well drained soil with regular summer water. Freezes to the ground below about 15ºF- re-sprouts form the base in spring. Great in containers. The better the drainage the hardier this extraordinary plant will be. Provide a warm position and mulch in autumn. Once it has been established through a winter it is a fairly permanent plant. Some deer resistance. Do not cut back until you see new growth in spring- then remove all damaged stems. Great in hot sunny borders. Regular summer water.